“We are committed to the broker channel and we look forward to doing business with brokers going forward, the brokers have been very supportive of us” Mark Squire, director of Mortgage Broker Services at National Bank told MortgageBrokerNews.ca. • Efficiency Bonuses will be doubled in all tiers, while volume bonus will be reduced to 10 bps. • Volume Bonus commission will be the same for all independent brokers or ones with a brokerage network. National Bank introduced their status program 5 years ago and since that time have had a tremendous amount of success with the program. Squire stated “we wanted to simplify the program but keep some of the features of the program that many of our status brokers have enjoyed such as our Trip of a Lifetime award” The program has been streamlined into fewer tiers and options but still providing a competitive advantage for status brokers. The bank hopes to continue making inroads with brokers and suggests the Red Carpet Program will continue to aid in that effort. -Efficiency bonus is increased. However, most firms do not come even close to reaching the approved-to-fund ratios required to get this efficiency bonus so is this really a positive? Further, most firms do NOT pay this efficiency bonus to agents anyways so how is this positive to agents? So, when National Bank says these changes are to “ensure continued strategically controlled growth through the broker channel”, what they are really saying is that they want to limit the growth via the broker channel, a message echoed in past by their CEO. 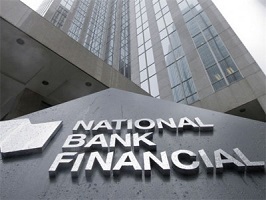 Congrats to National Bank as these changes will accomplish just that – less business from the broker channel. Hey, we might as well just get our realtor licence and just refer a name to National Bank and get paid 50bps just a referral. Less work and more comp! Goodbye National Bank! It was fun while it lasted! @Unhappy Agent, I think NBC was actually telling the truth when they say they are making these changes to stay active in the Broker Channel. I think we should all try to act like business people in this industry and stop acting like commission driven hustlers. Our supplier are mainly banks, even the monolines are all using banks to provide the money to do the lending. Banks are the richest, most successful companies in this country. We have to wrap our heads around the fact our existence is based on their willingness to supply the money to fund mortgages through brokers. Every year the executives of these banks sit down and decide how to allocate the resources of their companies. They start from zero and decide how to allocate their capital: credit cards, securities, wealth management, mortgages, commercial loans, on and on. Our part of that pie is small but each year the bosses stop and say: stay with brokers or cancel brokers? buy mortgages from monolines or grow our mortgage sales forces? 1) Comp stayed about the same, (who cares about 1 yr and 10yr really) we just need to be more efficient and it's none of NBC's business what part of comp brokerages share with agents. 2) Perks stayed the same or improved. 3) They took some things out of their matrix but if you understand how rate buy-downs there is room for some strong rate offerings when NBC enters an aggressive pricing phase. 4) SLOC portion of All-In-One, still a great product and the comp has gone from "Highest in Industry By a Mile" to "Still Way Better Than Most"
So let's rethink this and be happy the Sales Team at NBC has stayed with us and we have maintained a strong lending partner. None of NBC's fault if we are weak and can't negociate with the big banks. The broker channel is divided in groups that do not have a common strategy. You guys are lucky outside quebec. Here in Quebec we have a fraction of the lenders that you have. There is a language barrier imposed in the province that limits the arrival of new lenders.